DK preforming for Pyrotex fundraiser. DK preforming at Southern Light's Flow Retreat. 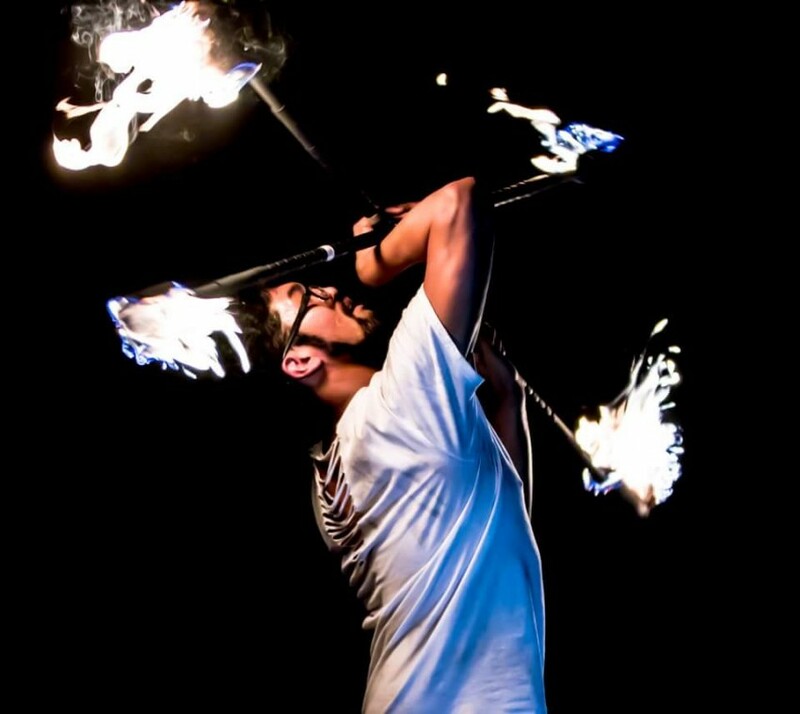 DK preforming at that thing in the desert. 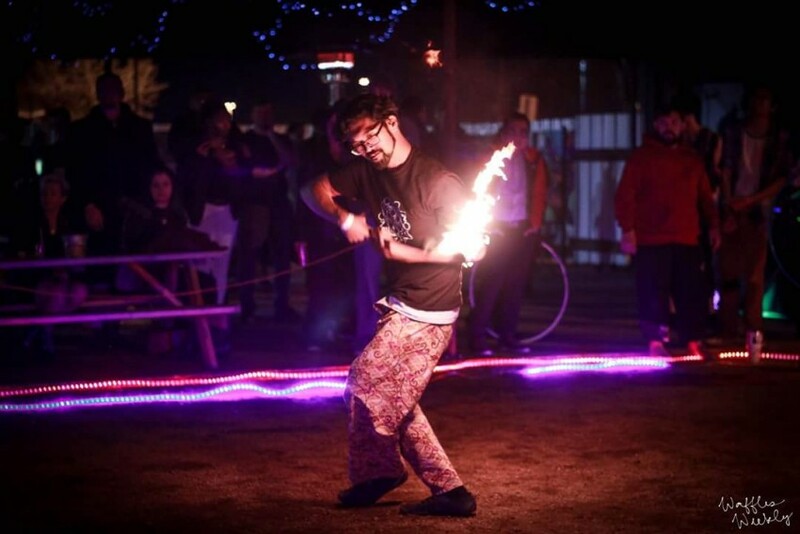 DK is an animator of inanimate objects, hailing from Dallas, TX, he has a passion for fire spinning, dancing, and juggling with an array of props. 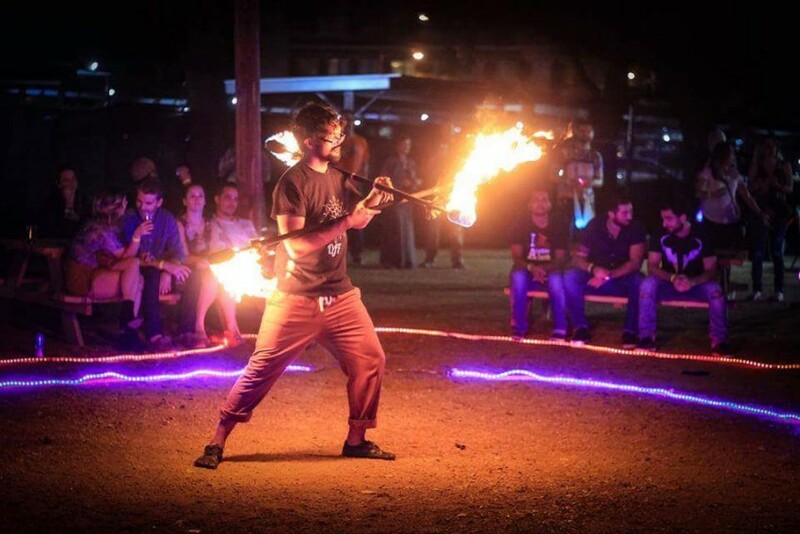 Sure to please any audience drawing from 6 years of experience in flow arts community. 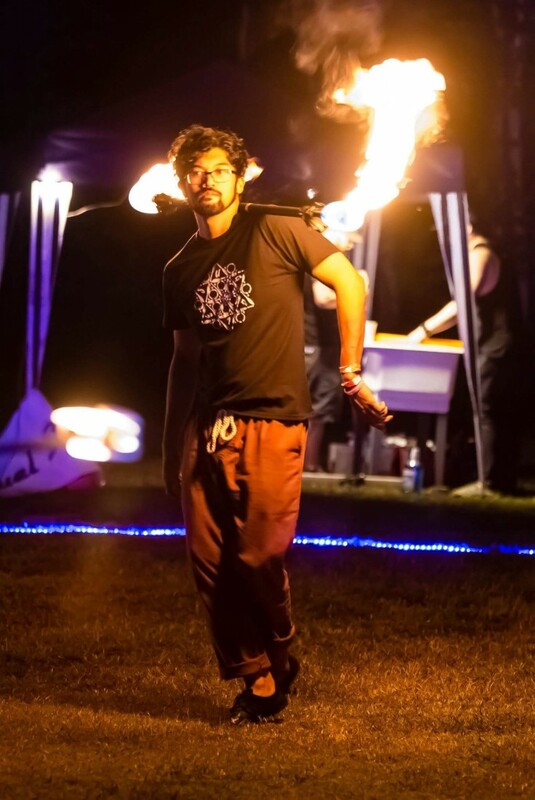 You may have caught him preform or taken his workshops at Flowstorm, Southern Lights, Wakarusa, Sonicbloom, or Art Outside.